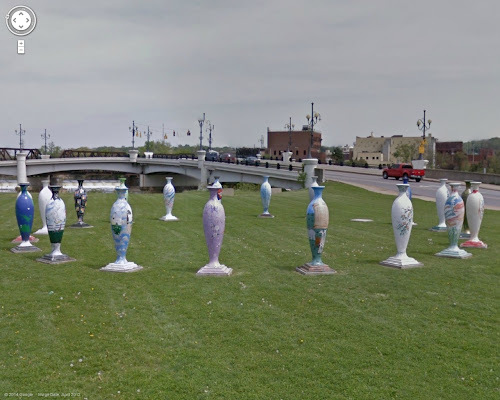 While researching for the Tri-Bridges Around The World, I found a large circle of vases near the famous "Y" bridge of Zanesville. 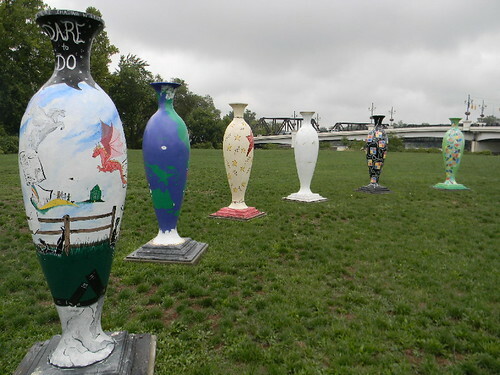 Locally known as "Vasehenge" these vases were installed in 2008 to showcase history of Zanesville. The area has large deposits of clay and the town is famous for clay potteries including hand painted pottery. 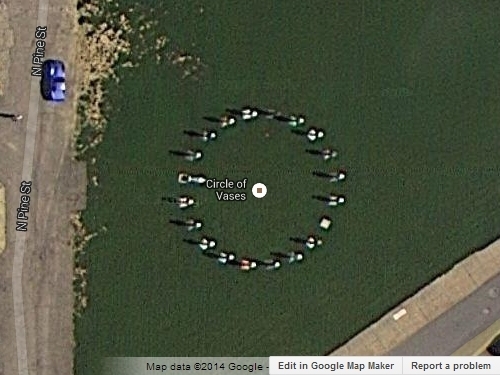 The circle is about 18 metres (60 feet) in diameter and the vases are about 2 meters (6 feet) tall. There are 19 vases and one empty pedestal. I assume that the vase on it either got damaged accidentally or was vandalised. 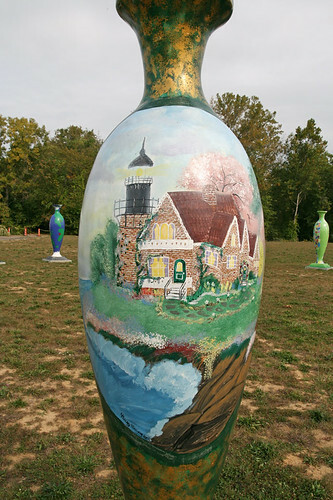 The vases are painted in different themes; dreams, mother goose, globe, birds, animal, nature etc. 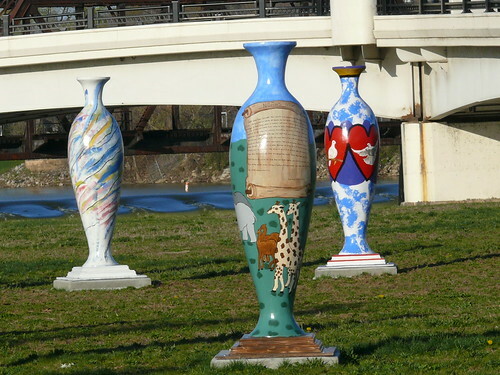 One vase has the slogan "Dare to Do" painted on it, while another says "Dare to Dream". Source of info: whiznews.com and Taco Adventures. Its Photo Album has some good close-up images of these vases.